My condolences, thoughts and prayers go out to the family of the man who lost his life in this race- as well as the others who were hospitalized during the event. My plan: take it easy. It was hot, and my leg had been bothering me all week. Wore my New Balance 758's. They are more stable than the luna racers. CES compression socks. Also wore my brooks hat, and shorts- singlet from the Track and Field store in Brasil. Wore Neutrogena Sport sunscreen. NO BURN! Felt hot, tired, sluggish, heart racing, out of breath. Mile 2: Slowed down and stopped. Had to fix my hair. I hated how it was touching my sweaty/ sun screened shoulders. Mile 3: I wanted to give up. But since I would have to walk back, I figured I might as well just jog slowly and walk. A lot. Mile 5? 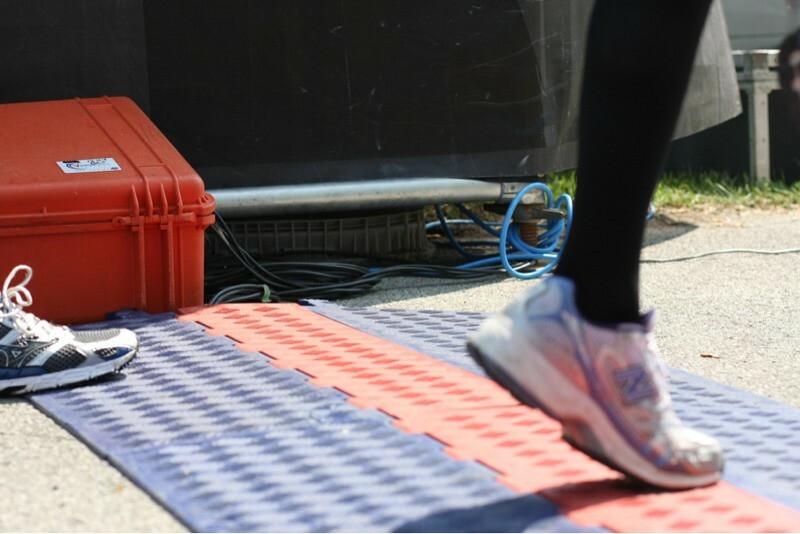 : Red flag means the timers are stopped, and people should exercise caution and slow down to just make it to the finish. Mile 7: Cold Towels. YAY! Mile 10: Called my Dad to tell him I was OK. Called my wonderful, wonderful LE who was at the finish line taking photos to tell him I would be another 30- 40 minutes. Mile 11? Getting told by race officials it was BLACK FLAG. and that we should just walk. 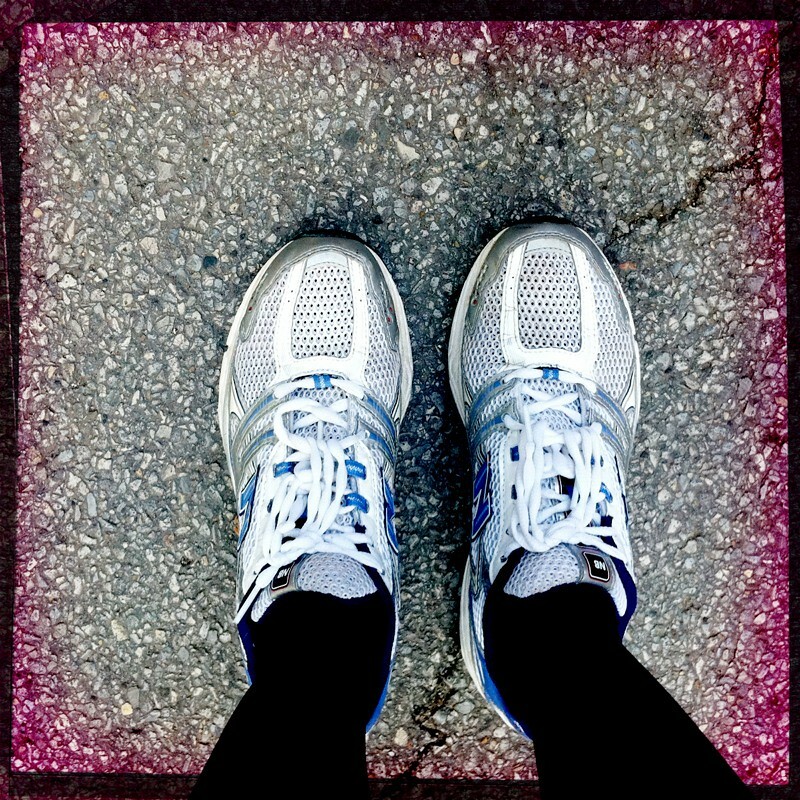 I continued my walk/ jog/ walk/ walk/ jog just because I wanted to be finished and I knew my limits. Mile 13: Jogged the last .2 to the finish. Finished in 2:39 ish. Might just be my worst time ever beating out my first half- (las vegas international half marathon in 2003) by a minute. BUT- I am 100% okay with that. For me, this race might be one of the smartest I've ever run. I am proud of myself for not overdoing it. I listened to my body and just took it easy. I knew that I wasn't acclimated to running in this kind of heat thanks to Chicago's extremely cold spring. There is a long summer ahead of getting used to this heat- and I know that there is NO SHAME in having to walk or STOP in order to stay healthy. I dumped water on my head and neck at every aid station. I got splashed by an aid station near the end and it felt so refreshing. Listening to my body is key. I knew I would have to take it easy and I am glad I walked. To the girl who almost knocked me and a few others down by sprinting the last .5 mile- you are an IDIOT. Really?! was that necessary to yell ON YOUR LEFT and push through us? especially when the timers had been shut off for over an hour, and when we saw people receiving medical attention on the side of the course. Way to go on your "strong" finish! 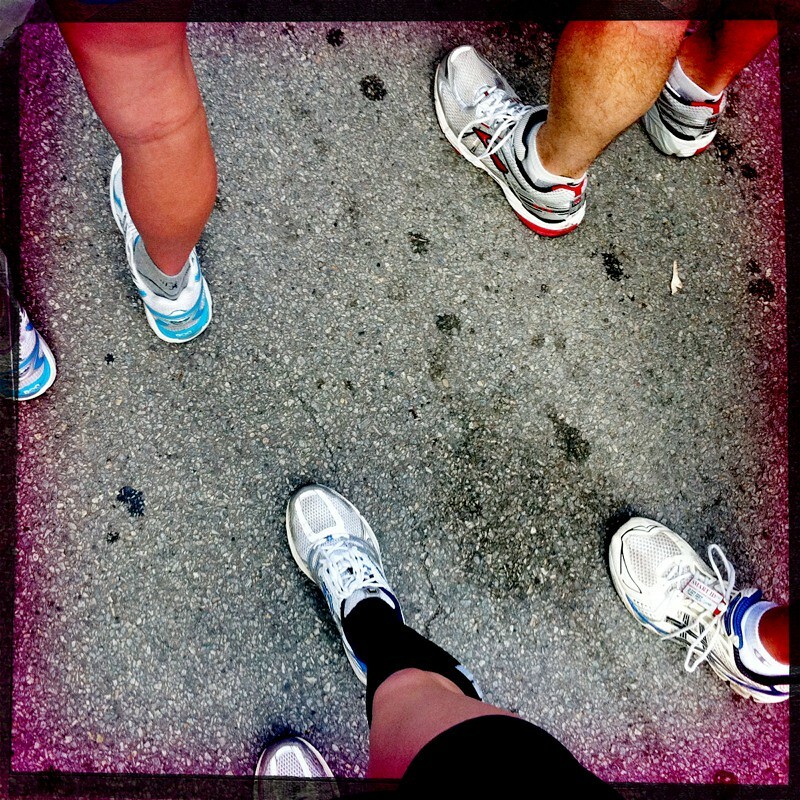 Talking to fellow runners while walking is so inspiring. Good luck Gil (i think that was your name) in your future races. See you in October for the marathon. You made the last mile fly by. Thank you LE for waiting for me to finish. You are an awesome support and I am lucky to have you in my life. And thanks for all the awesome photos. Sitting out in the sun taking photos for 3 hours in 90 degree heat is tiring. Thank you to the 13.1 marathon race organizers for a very organized race. The information provided was plentiful and you made a good call in shutting down the event. Thank you volunteers who gave us support when it was so difficult out there. Your smiling faces and words of encouragement definitely helped us make it through to the finish. Well done for listening to your body and finishing in one piece rather than speeding up and possibly not making it at all! 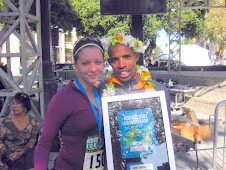 I am so glad you made it through - and ran smart, too! That's the best thing you can do in situations like that. The weather in Chicago can be SCARY in the summer - and even in October! Remember the marathon a few years back??? Yikes! Great job finishing, how sad that someone died, yikes! 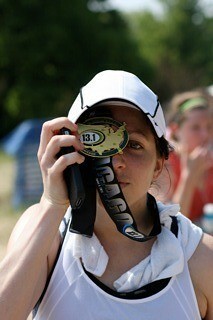 Love the picture of you and your medal. I am pretty sure I would have walked nearly all of it in that heat. WOW! I can't believe someone died! So sad! I am so glad that you played it safe and that YOU are ok! Way to finish strong despite the conditions! I'm with Stefanie - that is sad that someone died. The weather sounded crazy, sounds like you played it right and took it really easy. With those conditions I might have just decided to DNF since the chance of a PR was pretty much zero, and if I'm not having fun on the course it doesn't seem worth it out there. Glad you made it out okay with nothing bad happening. Yeah, I'm with you - I wanted to play it as safe as possible. When we heard someone had died on the bus, we all fell silent. I cannot imagine how his family and loved ones must feel. This is a crazy story, and really sad when someone doesn't make it in these preventable circumstances. I am glad that you made it through alive. The weather here is insane and doesn't always like to be nice on race mornings. 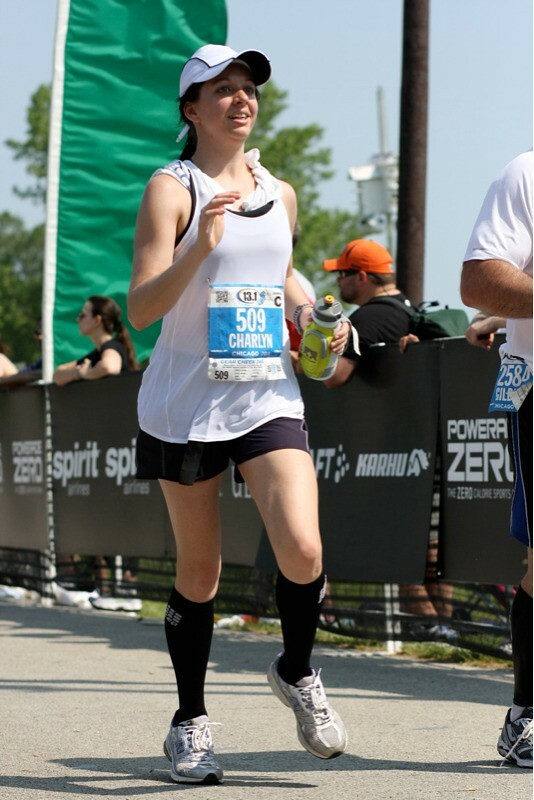 You've had 2 half marathons in the past month, both polar opposites of one another. That is crazy to think about. I'm glad you played your cards smart and knew that just making it to the finishing line in one piece was more important then anything. way to trust your instincts and finish without harming yourself! 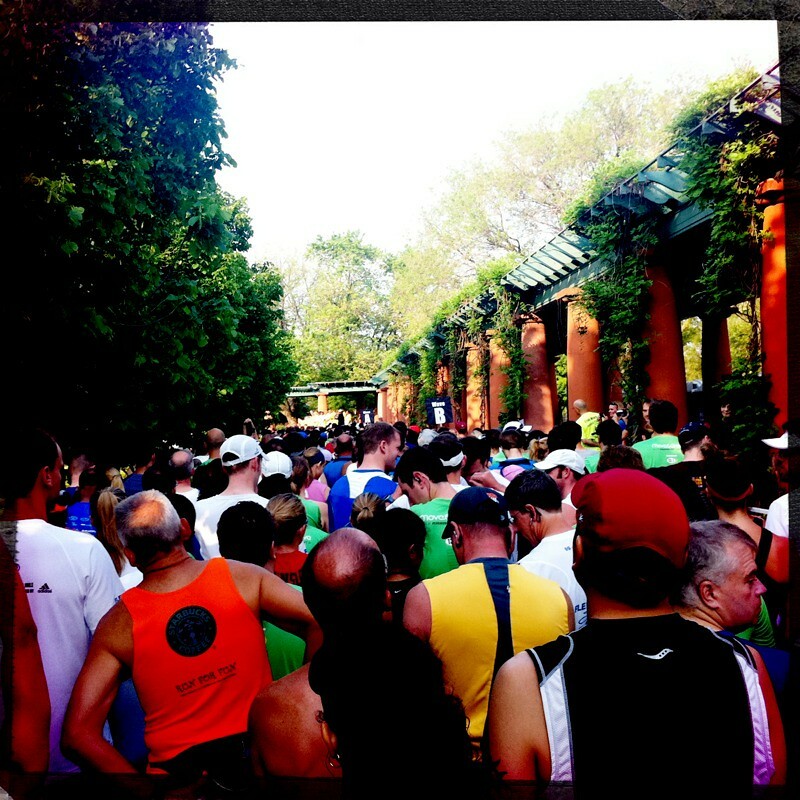 SIgning up for a Chicago race seems like a gamble...I know the chicago marathon was canceled once because of extreme heat. that's nuts!